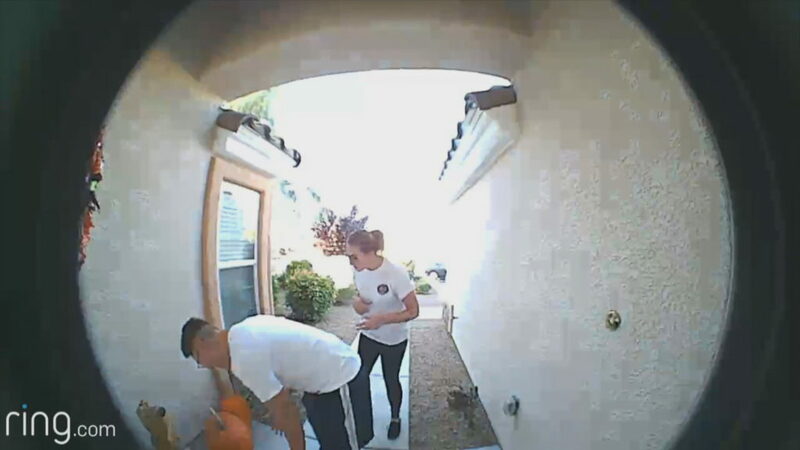 With more consumers relying on online shopping rather than making numerous trips to retail stores, the number of people scouring neighborhoods looking to steal packages has increased as well. To help you safeguard your packages, we’ve complied a collection of tips that will make sure thieves miss out on whatever you just ordered; be it a brand new iPhone X or just a four pound bag of delicious Rolos. There are a handful of video doorbell companies out there (August, Next, SkyBell), but the most popular one seems to be Ring. Ring was also purchased by Amazon recently, making them the go-to smart doorbell for anyone that’s invested in Alexa ecosystem. When purchasing a video doorbell, you want to check stats like field of view (how large the angle is when recording), motion detection, night vision and resolution. Video doorbells allow you to speak to the person outside your home, ideal if you want to make them think you are there (thus scaring them away). There’s a new product hitting the market called BoxLock Home. It’s basically a padlock with a bar code scanner built-in. 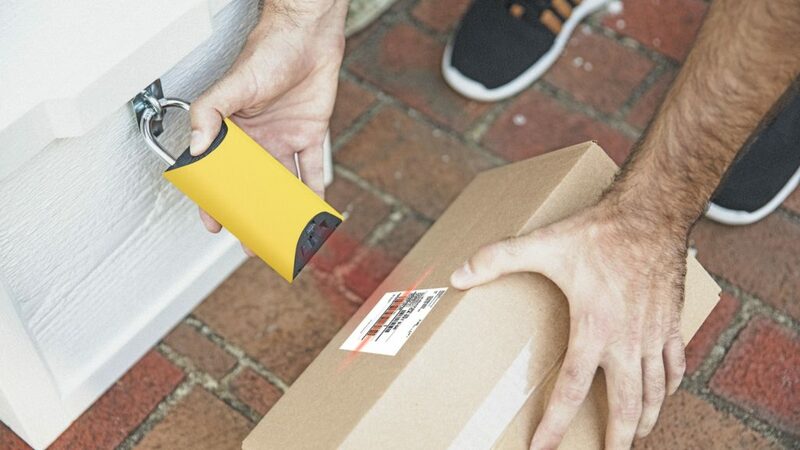 The delivery person scans your tracking number using the BoxLock and the lock disengages. They pop your package into a lockbox (size of your choosing) and relock the device. You get a notification that the package has been delivered. The downside is that the lock has to be continuously recharged, usually once a month depending on use. There’s also no guarantee that the delivery person will take the time to use it since it’s more time consuming than just dropping off the package and walking away. Another experimental product to potentially safeguard your deliveries is the Package Guard. 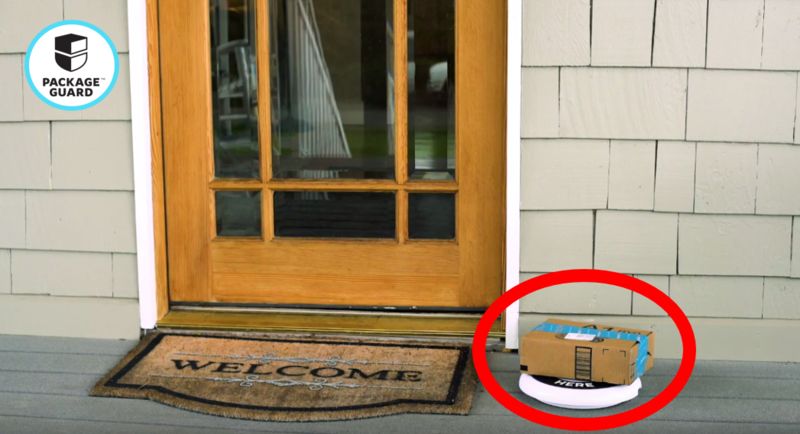 Roughly the size of a Frisbee, the Package Guard fires off a notification the moment a package is stacked on it. 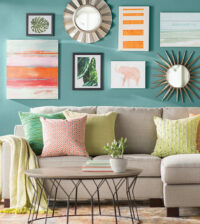 It’s connected to your Wi-Fi and can be securely fastened to your porch. 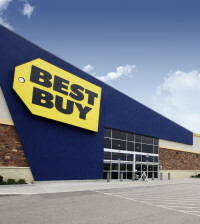 If a thief removed a package from the device, a loud, piercing 100db alarm will sound unless the package is returned to the pad. Additional packages can be stacked on the pad as well, assuming you have multiple deliveries that day. Some thieves will be dissuaded if they spot cameras while considering taking a stroll up to your front door. There are tons of options, everything from a single bullet cam mounted over your front door to complex 8-camera systems with DVR capabilities recording days of footage. 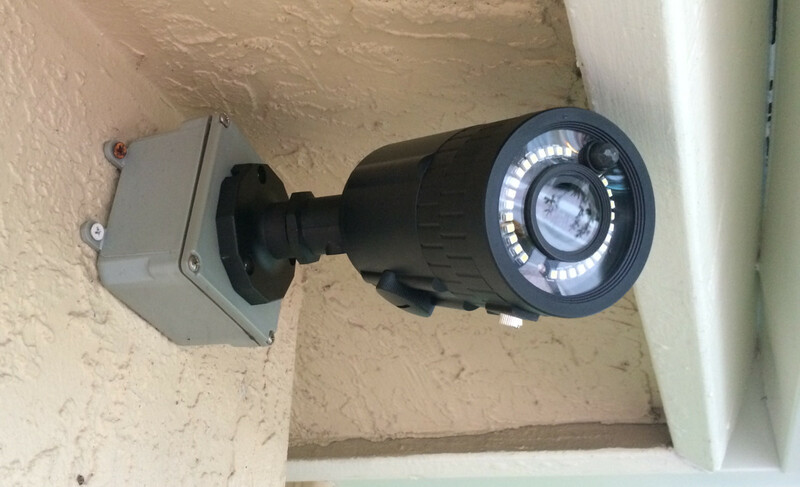 If your HOA is going to get angry about ugly cameras mounted on your home, consider installing Maximus outdoor lights. Each Maximus light comes with a built in 720p security camera, two way intercom, 100 dB alarm siren, & smart light control via Alexa. It’s not an obvious camera to the thief, but at least you will have security footage to supply to the police. Similar to just redirecting packages from your home to your work, you can also redirect them to lockers specifically designed to hold your packages (like a P.O. box). If these are convent to your area (check here), you can have your Amazon boxes delivered there at no additional cost. You will typically find these locker locations at gas stations and convenience stores like 7-Eleven. These lockers are also becoming popular on college campuses, ideal for the student living in a dorm. 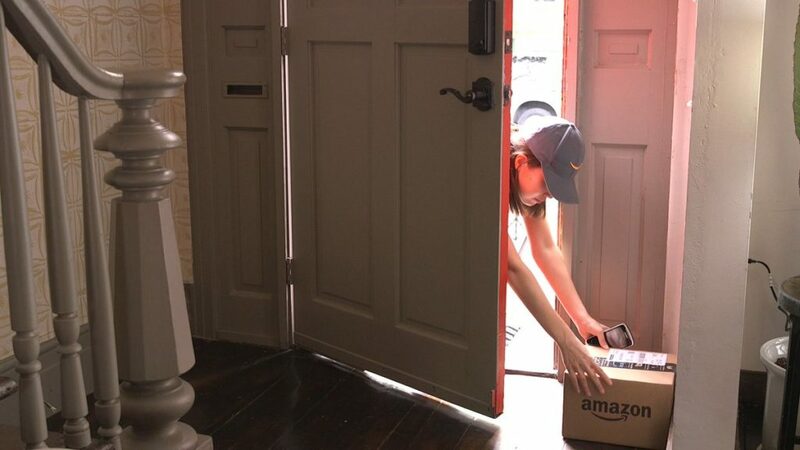 If you have already had a package stolen, Amazon Key is a new option that lets delivery drivers into your home via smart locks, while being monitored by security cameras. Rather than leaving the package on your porch, the delivery person pops open the front door, drops off the package and leaves. Amazon is also offering another option for leaving deliveries in trunks of compatible smart cars. Of course, this is an entirely different type of risk; allowing someone you’ve never met inside your home. It’s also not a great idea for any home with pets, as cats will dart out the door to freedom and dogs will chase the delivery person away. Both scenarios in which your pet can become lost in the neighborhood. Even just a sign that states a home is protected by security could scare away pesky package thieves. While there are a ton of options, there aren’t many that light up at night. 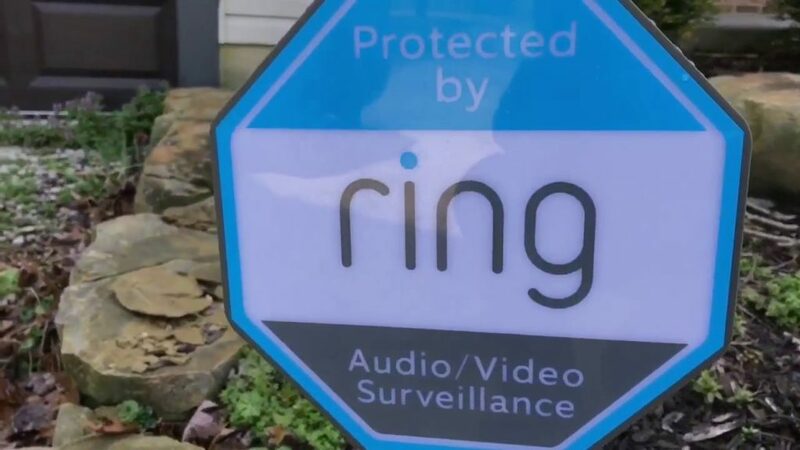 The Ring security sign uses built-in solar panels to power up during the day and stay lit all night; ideal for scaring away night-time prowlers. 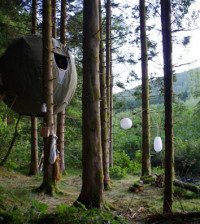 It’s also weather resistant. While certainly not convenient if you are away from home quite a bit, companies like UPS and FedEx have let consumers decide if signatures are specifically required at your address. UPS’s My Choice, for instance, lets you choose options for each delivery. Ideal if you want to make sure an expensive package isn’t swiped post-delivery. 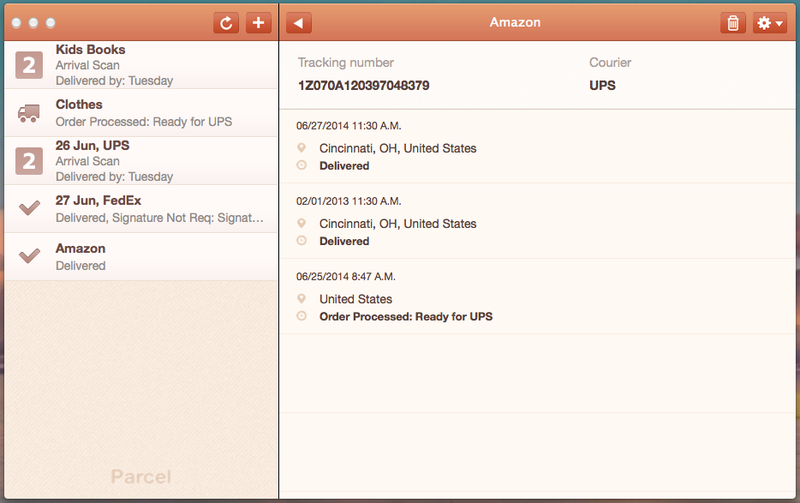 There are plenty of apps that can send a notification to your mobile device when a package is delivered. 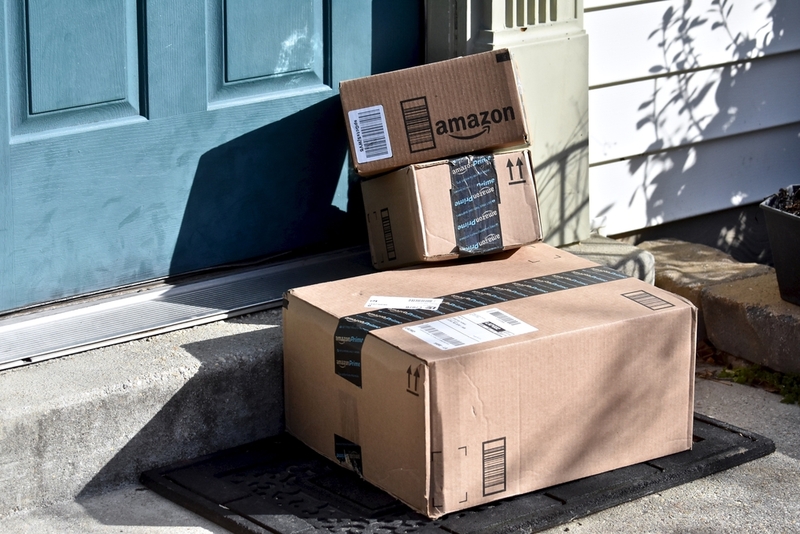 If you work from home or simply have the flexibility to make a quick trip back to the house, removing the package from the front porch immediately post-delivery will keep thieves away since you have nothing to steal. One of our favorite apps for notifications is Parcel, specifically because you can set it up to scrap your email for tracking numbers. The free version lets you track up to three packages in transit at any given time or you can upgrade for $3-per-year for unlimited tracking. Make ’em Really Work for It! 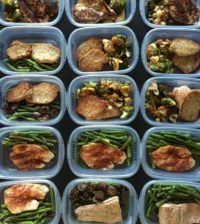 If there’s one truth we can all get behind, it’s that most people are inherently lazy. 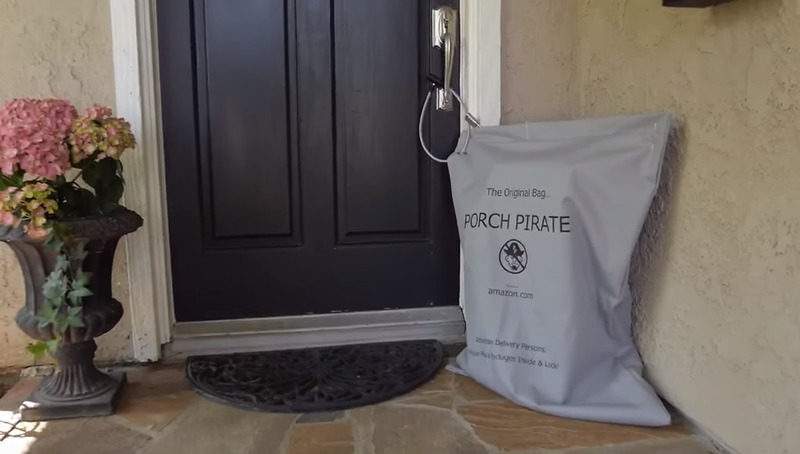 Enter the Porch Pirate Bag, an arguably silly solution that appears to be more frustrating for thieves than anything else. Comprised of a PVC-reinforced nylon bag, a bike lock and what looks like a combination suitcase lock, a delivery driver simply slips your package into the bag and locks it up. The bike lock slips through your front door handle and the suitcase lock goes through the bag’s zipper. A thief that wants your packages would have to come with bolt cutters, unlikely for someone that just wants an easy score. That would also draw more attention to someone that’s trying to look like a solicitor as well. Created by Ring, the iOS & Android app Neighbor just switched from limited to Ring-only users to available for the entire public. 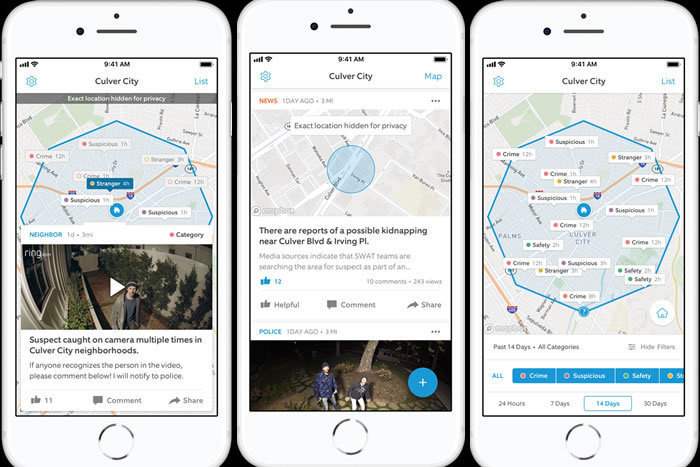 Anyone can now use the app to check out videos taken by Ring users, specifically local to your neighborhood (up to a 5 mile radius). Most of the videos in my area included lost dogs, kids playing ding-dong ditch, shady solicitors and, of course, package thieves. Spotting a package thief on video will help you identify them if you see them roaming in your area. Lots of these types of updates are found on local social network Nextdoor (along with insane posts all cataloged on the Best of NextDoor Twitter account). Local police often post on NextDoor as well, ideal for keeping up to date on property theft in your area. I usually get a text message AND email, plus,now they have where the GPS can show you where the driver is with your package when you’re AT home.Yes I understand, if the person isn’t home, then the other methods are handy. 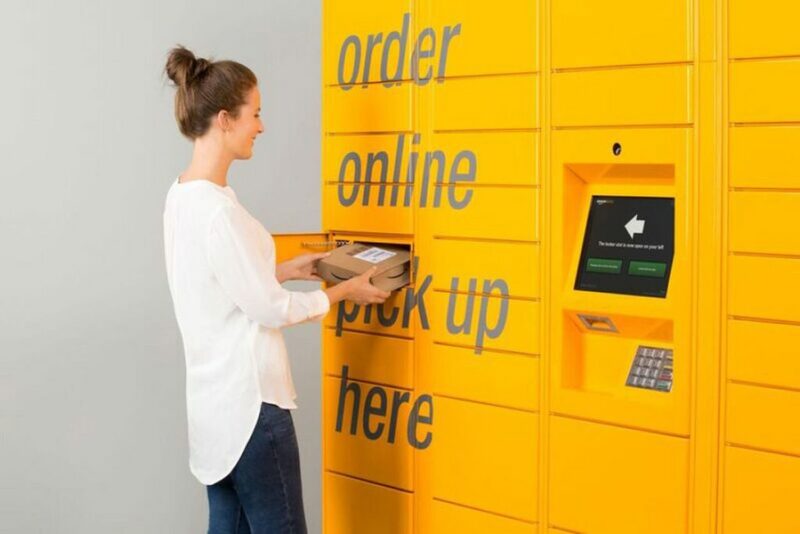 Using Amazon lockers seem to be the easiest, no hassle, no extra expense way to get your Amazon packages safely delivered. All the other options mentioned seem to cost money. Nextdoor is, ummm, interesting. I’ve been on there for about 4 months. What is has done for me is to heighten my paranoia about neighborhood crime to much higher levels than I ever knew I had. It’s a non-stop barrage of posts about suspicious this, that, and the other. I am at least partially sorry I ever joined – I thought my neighborhood was really safe (and it mostly is) before, now it seems like it’s a war zone filled with drug addled homeless and opportunistic criminals if the posts are to be believed. And more thing people need to know – there is no way (and I mean NO WAY) to contact the people who run the site. None. If you have an issue, or a suggestion, keep it to yourself. Once you sign up, any sign of human beings there evaporates.